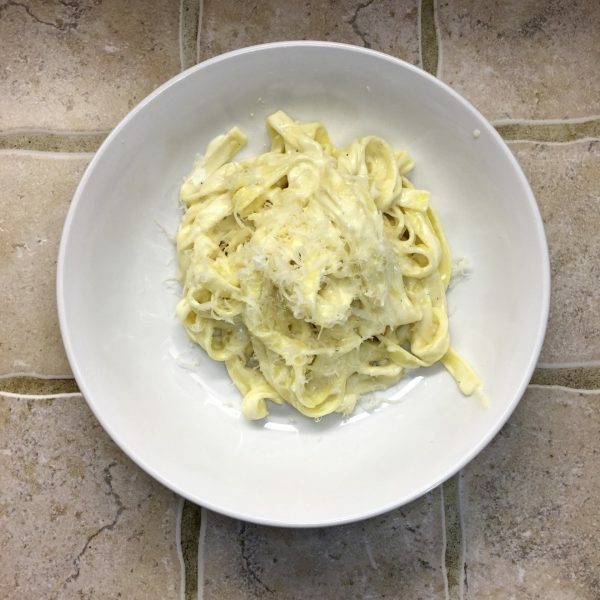 In researching recipes to use, I came across some really bitter diatribes from people saying, “TRUE Alfredo FROM ROME has NO CREAM!” Or “Without nutmeg it is a DISASTER!” Or “I could never feed this FAT to my family, I use SKIM MILK instead!” The internet is a divided place, yo. But eventually I figured I had absorbed enough by reading, and just went with the recipe I normally make, which I cobbled together at some point down the line. 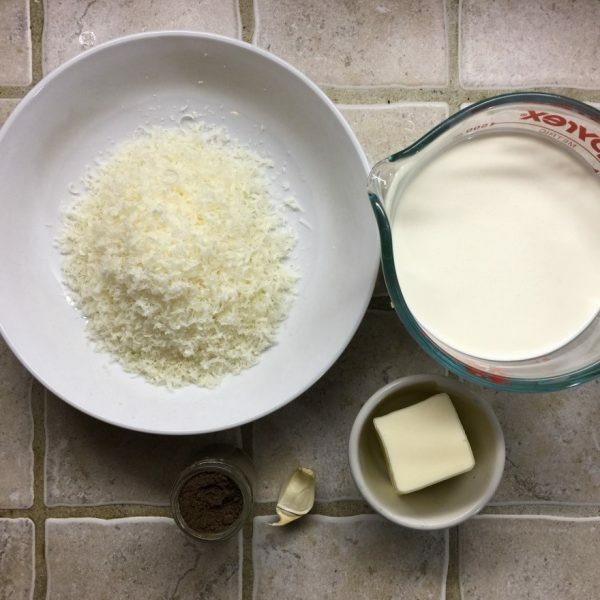 This recipe, although perhaps not truly authentic, is delicious and simple. It’s actually SO simple that I totally screwed it up and it STILL came out really delicious! It’s not diet food, but it’s worth the occasional splurge. Start your water boiling for your noodles. Rub the inside of a sauté pan with your garlic clove. I forgot to do this, so I added my garlic clove in whole, hoping it would flavor the cream. That worked, too! Score. 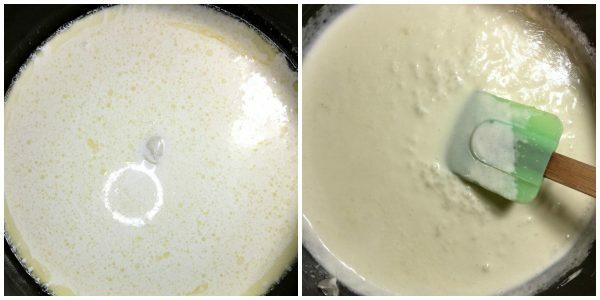 Melt the butter in your pan over low heat, then add 1 ½ cups cream. (This was my second mistake—I added all 2 cups right away. It takes longer that way, since it has to simmer longer.) Note the lone clove of garlic, poaching in the cream. You don’t have to do this. Learn from my mistakes. Heat it until it is vaguely bubbling. 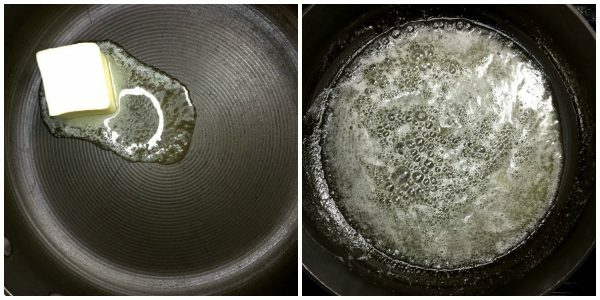 Your water should be boiling now; throw your noodles into the boiling water. Keep the sauce vaguely bubbling until it thickens enough to cling to the back of a spatula, then turn the heat WAY down. 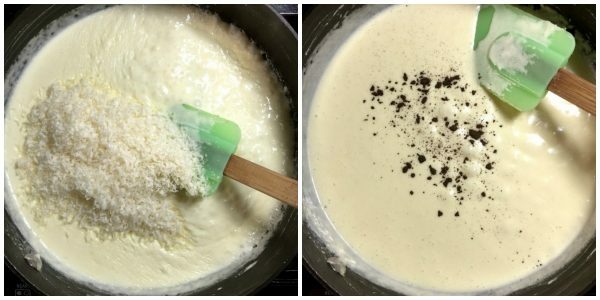 Stir in the parmesan, salt, and nutmeg, and then stir in the remaining ½ cup of cream. I don’t have a photo of that part, because I had already added all the cream at the beginning, remember? Drain your noodles over a bowl (so you catch some of the noodle liquid) and add your noodles to the pan with the sauce. Toss them with some tongs to cover all the noodles. 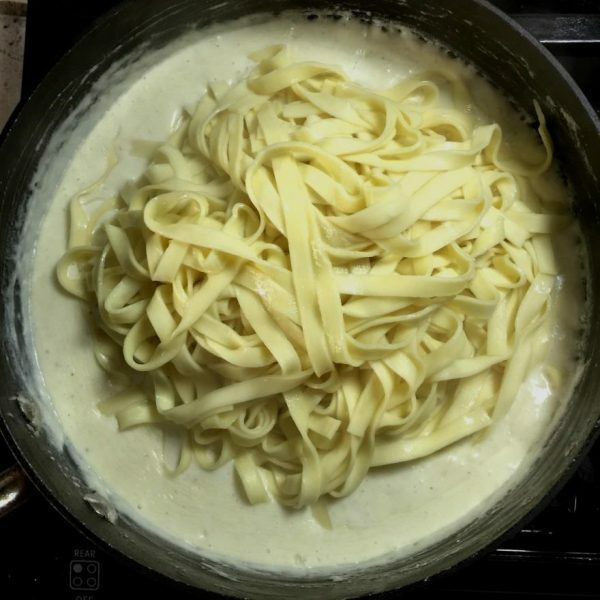 If your sauce is a bit too thick— it might not be if you added the bit of cream at the end, but perhaps you were thinking of the 23409823740 other things you still have to do tonight and added it all at the beginning, like me— you can add a little of the noodle liquid back in to the pot and stir it to combine. Add about ¼ cup to start, and up to ½ cup. This will make your sauce SAUCY instead of goopy and gluey. You can dress it up with chicken or shrimp or broccoli or peas, or you can just have it in its unadorned yet totally luxe state, with a glass of white wine. Happy Alfredo Day!